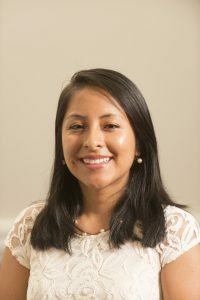 Katherine Garcia-Rosales (Peruvian) is a second-year MPH Epidemiology student in the School of Public Health. Katherine graduated with a Bachelor’s degree in Community Health in 2015 from the University of Maryland, School of Public Health. Her research interest includes tobacco control, substance abuse, and HIV research with a focus in global health. She is currently a graduate research assistant at the Indigenous Wellness Research Institute working on the Virtual Reality Second Life Two-Spirit pilot study to address substance use and HIV risk among substance-using Native American men. She previously worked at the Center for Substance Abuse Research working on the National Drug Early Warning System project that tracks emerging drug issues in the US, and as a Research Program Manager at El Centro de la Raza, developing their CBPR Community Needs Assessment project that is assessing the needs of the Latino population in Seattle and South King County, WA. Her long-term goals are to research emerging tobacco and substance use issues, such as the rise in use of electronic cigarettes and illicit drugs, and how it is disproportionately affecting different populations. Jessica H. L. Elm is a citizen of the Oneida Nation and a descendant of the Stockbridge-Munsee Band of the Mohicans. She is in her final dissertation year before earning a PhD in social welfare. Jessica’s scholarship centers on American Indian and Alaska Native health disparities/health inequities. 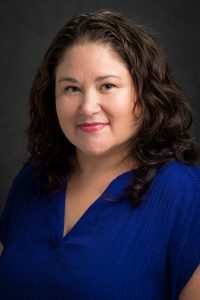 Her dissertation examines the relationships between childhood adversity, and smoking and other behavioral- and physical health outcomes among American Indian adults with type two diabetes. Throughout the upcoming academic year, Jessica will be presenting her research and defending her dissertation.